Someone emailed me an article about products from the 1977 JC Penny Catalog. It is amazing how fashions change over decades. 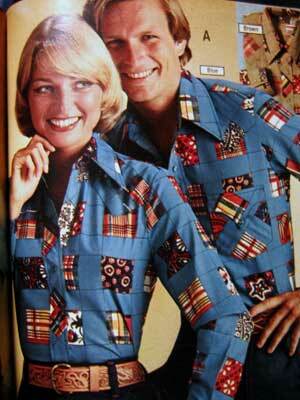 Personally I think most of the styles from the 70's were pretty creative. I admit I rock some of my mom's old shirts from the 70's and I like to get some pieces when I go to vintage clothing stores. I also believe most of the styles today are influenced by the styles of the last couple of decades. The 80's and early 90's were a little too much in my taste.